in the West Lothian and Falkirk areas. We are the alternative to kennels in Falkirk and the surrounding West Lothian areas. Hello, I’m Oriana and welcome to PetStay, your local pet sitting service that covers West Lothian, Falkirk, Dunfermline, and surrounding areas. I’ve been a dog owner for many years and I know how difficult it can be to find the right care for your dog when you go on holiday or even on a shorter trip. At PetStay we offer a professional and reputable home from home dog boarding service. Our carers are carefully selected, they are fully insured, vetted by me and of course, they love dogs! We take great care in making sure that your dog is matched to the most suitable carer. Your selected carer will welcome your dog into their home and treat them as part of the family. We make sure that all daily routines are kept in place during their stay, just as you would want. We don’t mix dogs from different households and we don’t allow your dog off the lead when out for walks. 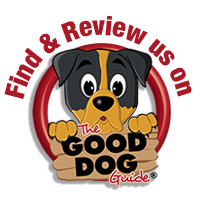 We’ll have a chat with you to find out all about your dog’s daily routines, feeding requirements, likes and dislikes, how much exercise and so on. This helps us find the most suitable carer that matches your dog’s needs. Once we have selected one of our carers we will arrange for you and your dog to meet the carer in their home. When you’re ready to confirm your booking, we’ll guide you through the booking process and provide you with a list of essential items that you’ll need to pack. Once your booking is made, you will have peace of mind that you can go on holiday knowing your four-legged friend will be well looked after and having a great holiday too! Please have a look around our website for more information about our service, prices, reviews, and news. Our home from home dog boarding service is proving so popular that we are always looking for new carers to join our team. If you love dogs and have experience of owning a dog, have a secure garden and you are at home during the day please get in touch for an informal chat using the contact details below or via the enquiry form. To find out more or to arrange a visit to one of our carers in the West Lothian and Falkirk area, please get in touch using the details below. We cover West Lothian and all of the Falkirk (FK) postcode and surrounding areas. EH27, EH28 & EH29 & EH30, EH47 to EH49, EH51 to EH55, FK1 to FK21, and the KY12 areas. Are you worried about leaving your dog in kennels? Have you ever considered a dog sitting service in Falkirk? If you are worried about leaving your dog in kennels and would prefer a more personal touch, then why not consider a dog sitting service in the West Lothian area. At PetStay West Lothian & Falkirk, we are licensed and insured to care for your dog while you are away. We have many caring and affectionate pet sitters that are vetted, insured and have been carefully chosen to provide a better experience than dog kennels for dogs whilst their owners are away on holiday. The carer will ensure that your dog is treated as part of the family and will be given the same routine that they would obtain at home, making our home dog boarding service in the Falkirk area a far less stressful experience for your dog than kennels. PetStay have gained an outstanding reputation over many years for providing an excellent dog sitting service and now PetStay West Lothian & Falkirk are becoming well known as your local dog sitters in the Falkirk area. Have you ever thought how wonderful it would be to work from home and be able to work with animals? If you’re a dog lover and want to have a flexible, home based hobby that lets you meet a variety of dogs, then maybe you will love being one of our carers looking after dogs in your own home. You will receive a daily allowance, starting from £12.50 per day. We boarded our black Labrador Sam with Chantal and her family for 6 nights in April 2019 and we are absolutely delighted with the care and loving attention given by Chantal and Oriana at PetStay. We loved receiving the photos and updates about Sam’s holiday with this delightful family. We will definitely use Petstay again and we would not hesitate to recommend them to anyone. Our 8 month old Labrador Tess had an amazing time with Chantal. We felt completely at peace about leaving her and we all looked forward to the daily updates and photos. Tess settled immediately in a home filled with lots of love! We will definitely use the service again. Thank you. Dougal, our ALD has just been for his second visit to Julie, as always I received lots of photos and videos during the holiday. One in particular was Julie and Dougal “dancing” in the kitchen, expertly filmed by Saffron, Julie’s daughter. Amazing service from Oriana and her team! Our two westie’s (aged 2) stayed with Chantal and her lovely daughters for 10 nights. I was a bit teary and anxious when I dropped them off but Chantal reassured me and said she would keep in touch. True to her word she sent me regular updates and photos which my husband and I really loved, I believe this regular contact is key to the success of Oriana’s business. Oriana always replies to any queries within a few hours and she is both efficient and friendly. Lizzie and Lochie are now home safe, happy and relaxed, everything you would expect from a holiday! I will be using PetStay again in the near future. Thank you to Chantal, her daughters and Oriana! This is Dougal’s 4th holiday with PetStay and he loves it! It’s great that you meet and “approve” the holiday family before your precious pet goes to stay, there are other companies that don’t allow contact apart from a card and a couple of photos. He is a sociable soul who needs constant contact so kennels were never an option, all sitters are rigorously checked by their respective councils (again, not all are). Rocco loved staying with Julie, would highly recommend. Sandra was terrific from start to finish and I felt totally confident that Rosie was in safe and loving hands. Thanks for all the help. I know for sure I will definitely be using your services in the future. Zoe seemed to have enjoyed herself and we felt fine leaving her with Andrew and think Zoe is looking forward to going to stay again. I would just like to say the service you and Andrew provide is first class. Our family decided to travel for the holidays overseas to have some snowy fun. Unfortunately, our 5 month old beagle, Brownie couldn’t come with us. Leaving Brownie in kennels wasn’t an option, so we contacted PetStay. Oriana asked a few questions about Brownie, and in no time paired us up with Andrew and his dog Patch. They were ready to welcome Brownie for the holidays at their home so we paid an initial visit and had a nice walk with them as part of the introduction. We had plenty of time to explain everything about our pet’s habits and daily needs. Andrew assured us that those all were going to be respected. Administration and drop off went extra smooth, during our 2 weeks holiday we received several updates. When we returned home Brownie looked extremely happy, was in perfect shape and health (emotional and physical) and seemed nicely bonded with Andrew and Patch during the time they spent together. I highly recommend PetStay as professional, trustworthy, and most importantly compassionate and loving service providers. A great service. Communication in the lead up to my dog staying with Julie was great and I was updated regularly throughout his stay. Would highly recommend PetStay. What a great experience we have had. We usually have our two dogs looked after by family but on this occasion no-one was available. Would like to say Chantal was just like leaving them with family. You can tell she has a great love of dogs as does her children. We got update pictures over the four days which was great. We would not hesitate to use her again and will certainly be recommending her services. I would not hesitate in recommending Julie as the ideal person to look after anyone’s dog whilst they are away. Many thanks in recommending Julie to us. I would use this company again only if I could get the same person she was great but her daughter was really brilliant with Megan. Megan isn’t used to children and I was wary but after seeing her with the carers daughter I was happy. Megan normally goes to kennels but comes home sad, this time she didn’t want to come home. We recently used PetStay again for our Cockapoo and she spent two days with a lovely lady called Sandra. Our Puppy, Kelly (8mths) stayed with Andrew for 14 nights. We were really nervous about leaving her so long but after our initial meeting with Andrew our minds were put at ease. Andrew took us for a walk with his dog Patch and they got on like a house on fire! The communication on the run up to Kelly’s holiday was superb, Oriana was there to answer all questions we needed and Andrew was always at the end of the phone. During our holiday Andrew provided us with updates which was great! Upon returning from our holiday Kelly had not forgotten about us and gave us a bounding leap! Kelly misses Patch and Andrew we can tell! Highly recommend this service to anyone else and would not hesitate in booking again. Thanks for a A* service. We have been very impressed with PetStay’s service. We have used the service twice and both times the carers have been excellent, very caring and really spoiled our wee dog, Phonics. PetStay works to high standards and makes sure its carers are well supported – a big thank you. Dougal was in his element being fussed over by the whole family, going on lots of walks (in lots of rain!) while we were away. They even had their own special name for him, “Dougal-Bear”. He started getting celebrity status during the school walk with the girl’s friends shouting his name. The boy loves a fuss and he was treated like a doggy king! Our Labrador stayed with Julie and thoroughly enjoyed her weekend away. The family were very friendly and enthusiastic. They walked our hound many times a day, played with her and made a fuss over her. She didn’t seem to be in any hurry to leave when we collected her on Sunday. My dog Happy stayed with Julie and her family for 10 nights. I was a bit nervous at the beginning as this is the first time we had him stay with another family. When we picked him up, he seemed very happy and relaxed and I had no doubt that he was in good hands. The lovely family looked after Happy very well and we will definitely leave him with Julie again. I recently used PetStay for my 2 year old cockapoo. I booked last minute for a one night break away and I was really nervous to leave my dog with a stranger. From the moment I first contacted Oriana to the initial meeting with Chantal to the moment I picked Coco up from Chantal (the dog sitters house) I could not have been happier. The whole process was professional and easy to use and my puppy was in fabulous hands with a lovely family to watch her. I would highly recommend this service and I will definitely be booking again. Here’s a picture of Coco with Chantal’s daughters who helped look after her so well. Dougal, our Aussie Labradoodle, stayed with Julie and her family while we were away for 6 nights. He is a big, strong bouncy boy who loved the way he was made to feel special by all of the family but especially Saffie, Julie’s daughter. He even came home with a wee lion that was “loved” beyond recognition. This is such a happy friendly home, we’d have no hesitation in recommending Julie and PetStay to anyone. National dog home boarders, PetStay is happy to announce the opening of its 38th branch, PetStay West Lothian and Falkirk. The latest branch covers the following postcode areas: EH27 & EH29 & EH30, EH47 to EH49, EH51 to EH55, FK1 to FK21, and KY12. To find out more or to arrange a visit to one of our carers in the Falkirk area, please get in touch using the details below. PetStay West Lothian & Falkirk office address is 3 Kennedie Park, Mid Calder, West Lothian, Scotland, EH53 0RG. For the purposes of data protection PetStay is a data controller (ZA394625). You can verify the details you have submitted to PetStay by contacting us by email oriana@petstay.net or by post at PetStay, 3 Kennedie Park, Mid Calder, West Lothian, Scotland, EH53 0RG. Alternatively, you can telephone us on 077951 79340. You can always feel free to update us on your details at any point by sending an email to oriana@petstay.net. You can request a readable copy of the personal data we hold on you at any time. To do this, please contact us via email oriana@petstay.net.